“STRANGE NATURE” playing in theaters now in LA! Los Angeles Troma fans, Check out CITIZEN TOXIE and POULTRYGEIST alumni, FX Artist Jim Ojala’s feature film directorial debut – STRANGE NATURE! The eco-horror film also features Tiffany Shepis and Toxie himself; David Mattey along with a cameo by Troma Head Honcho, Lloyd Kaufman! 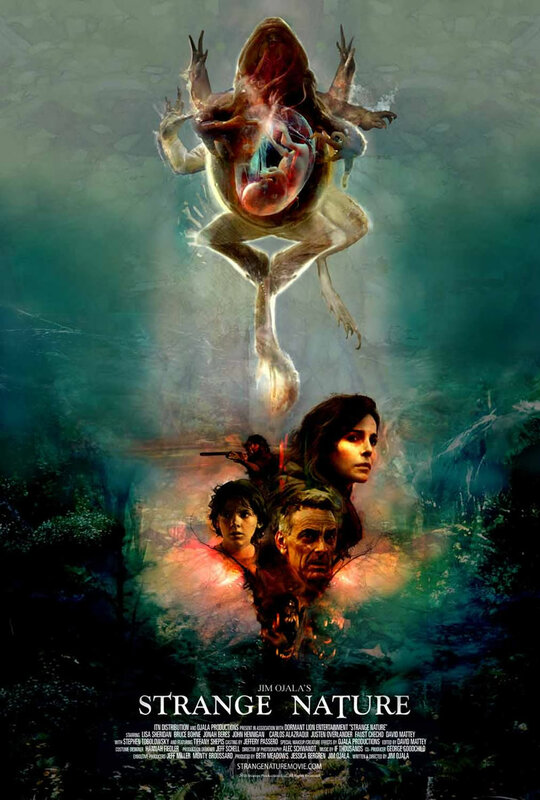 The film also stars Lisa Sheridan (The 4400) WWE Superstar John Hennigan, Carlos Alazraqui (Reno 911, Funhouse Massacre) and Stephen Tobolowsky (Silicon Valley, Groundhog Day) STRANGE NATURE is playing in Los Angeles at the Laemmle’s Glendale until Thursday, September 27! This entry was posted on Tuesday, September 25th, 2018 at 2:52 pm	and is filed under News. You can follow any responses to this entry through the RSS 2.0 feed. You can leave a response, or trackback from your own site. You are here : Home » news » 2018 » 09 » 25 » “STRANGE NATURE” playing in theaters now in LA!